Majesty of the Seas is a newly refurbished ship from Royal Caribbean, offering short three- and four-night Caribbean getaways. 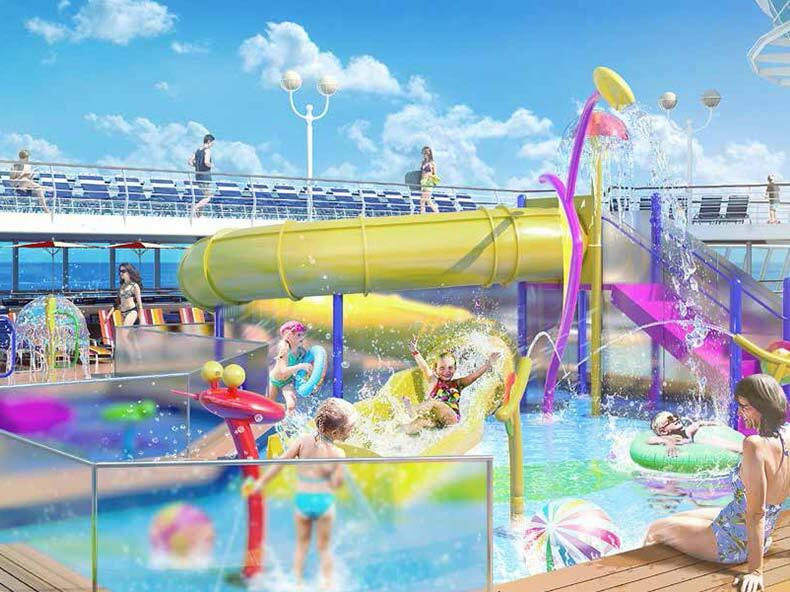 Passengers onboard Majesty can enjoy the all-new kids aqua park, Splashaway Bay. ADE designed Splashaway Bay as an adult-free zone featuring an interactive wet play area with slides, water cannons, geysers and much more around climbable wet play structures. For this project’s wet play area, ADE provided concept design and hydraulic, filtration, and chemical system design and engineering services.